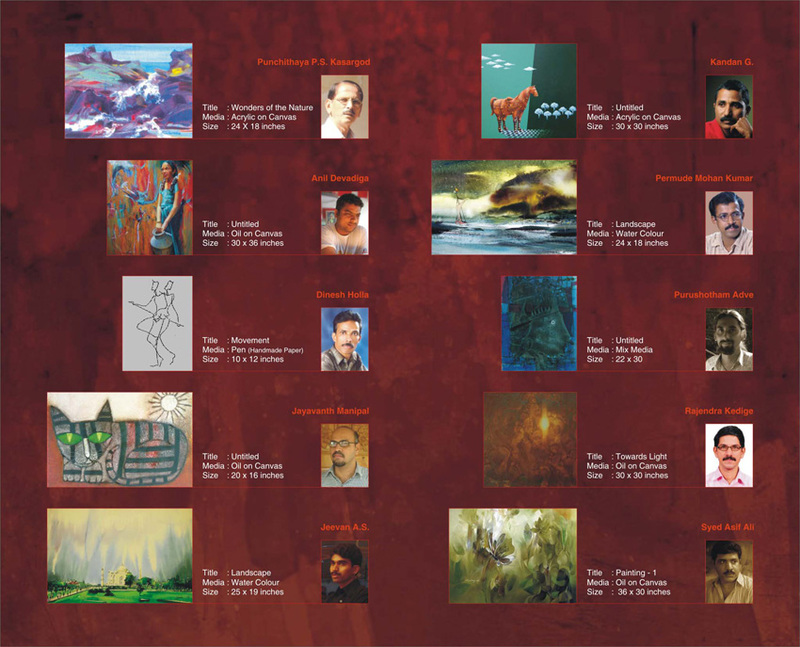 Dhrithi Foundation, hosted ‘Art for a Cause’, a unique fundraising Exhibition of Paintings by 10 Professional Artists of the coastal region from 20th to 29th August 2010 at Orchid Art Gallery, Balmatta, Mangalore. The exhibition was inaugurated on Friday, 20th August, 2010 at 4:30 p.m. by Dr Prabhakar H, Interventional Cardiologist and Chief of Cardiovascular Medicine, Fr. Muller’s Medical College, Mangalore. Sri S.S. Nayak, eminent Chartered Accountant was the chief guest, while Sri Nemiraj Shetty, Director, Hasta Gallery Projects, Mangalore delivered a talk on art. Dr. B. Srinivas Kakkilaya, Secretary, Dhrithi Foundation presided. 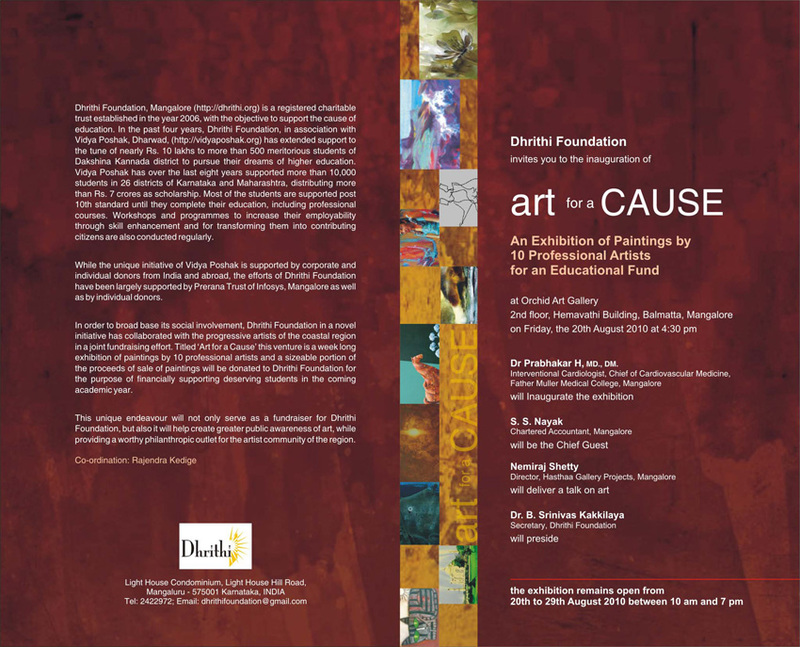 For this novel initiative, Dhrithi Foundation collaborated with the progressive artists of the coastal region as a joint fund-raising effort, whereby a sizeable portion of the proceeds of sale of paintings was to be donated to Dhrithi Foundation for the purpose of financially supporting deserving students. The ten participating artists were: P.S. Punchithaya of Kasargod, Anil Devadiga, Dinesh Holla, Jayavanth Manipal, Jeevan A.S., Kandan G., Permude Mohan Kumar, Purushotham Adve, Rajendra Kedige and Syed Asif Ali.